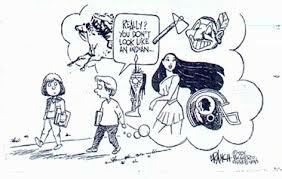 Cultural Appropriation: Is It Bad? From pop sensations Bruno Mars to Iggy Azalea to old school entertainers like Elsie Janis, musical cultural appropriation has always been and is still a problem to many people. Is music appropriation a bad thing? Here is some background to understanding why musical cultural appropriation is a problem. First, before we get to it, we need to understand what “appropriation” means. According to TheFreeDictionary.com the definition of music appropriation is: “the use of borrowed elements (aspects or techniques) in the creation of a new piece,” (TheFreeDictionary.com). Now, appropriation of music styles in itself is not bad. However, once those music styles are being re-interpreted by people who didn’t originally create that particular genre or song style, we start to find problems. This is called “Cultural Appropriation”. 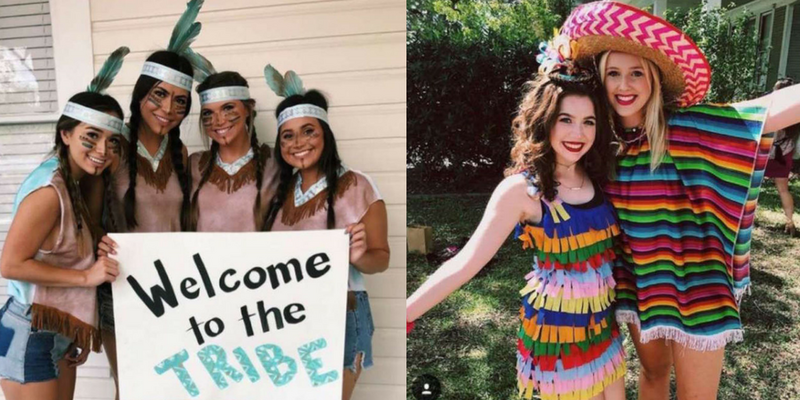 According to The Free Dictionary, “Cultural appropriation is the adoption or use of elements of one culture by members of another culture. 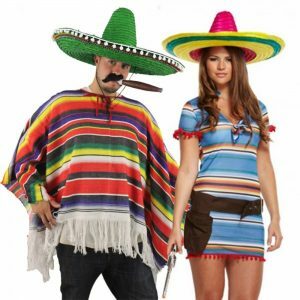 Cultural appropriation may be perceived as controversial, even harmful, notably when the cultural property of a minority group is used by members of the dominant culture without the consent of the members of the originating culture; this is seen as misappropriation and a violation of intellectual property rights” (TheFreeDictionary.com). An example of cultural appropriation is when someone who is not Mexican throws on a Charro suit as a costume for Halloween. It is completely misrepresenting its origins. Cultural appropriation in music has been an issue in the Western world, especially in the United States. The reason is most, if not, all music that is “American” is originally black music. 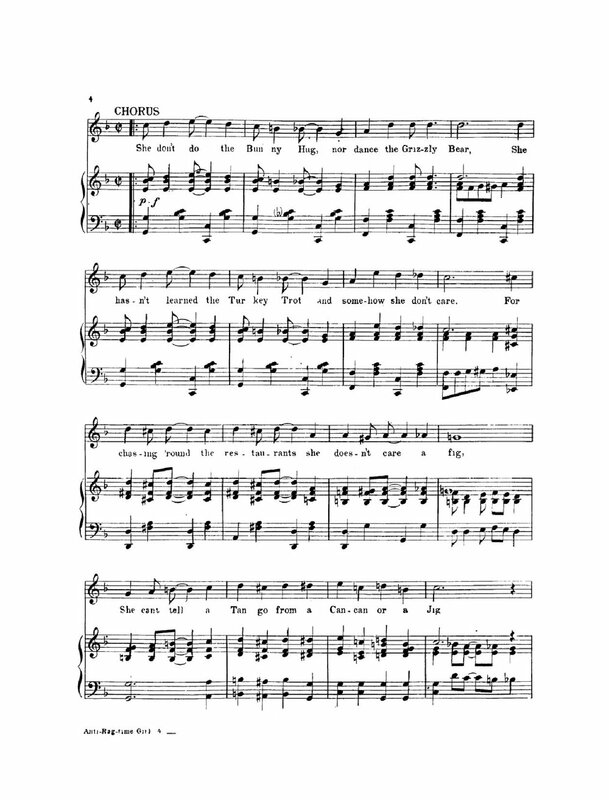 Most jazz, blues, ragtime, hip-hop, country, spirituals, and other songs we have discussed in class have found their origins in African-American culture. an article was written about his role as a racially ambiguous artist in today’s music industry. Even Seren Sensei posted a video on Twitter defending her argument that Bruno Mars is using his racial ambiguity to further his credit in creating black music. However, this issue is a bit more complex than it seems. To understand why, we must allude back to the cultural music appropriation of black music by white artists in the early 20th century United States. 2nd: Elsie Bierbower, aka: “Elsie Janis” was a singer, songwriter, actress and screenwriter from Columbus, Ohio. She moved to Los Angeles to live her dreams in the entertainment industry, and travelled around the world performing for vaudeville, Broadway and Hollywood. 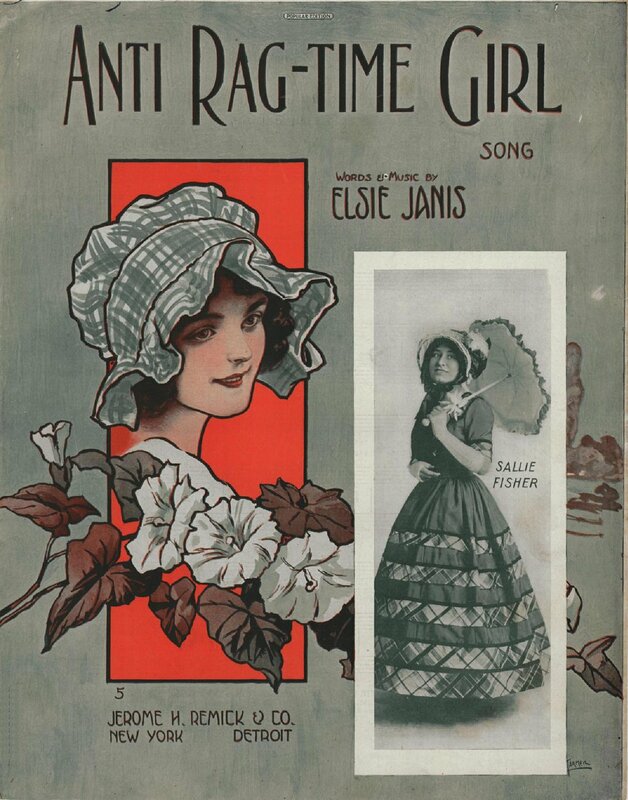 She was immortalized by her nickname, “the sweetheart of the AEF” when she would entertain the troops during World War I.
Elsie Janis could be described as a someone who made it in Hollywood. She was very famous in her time. 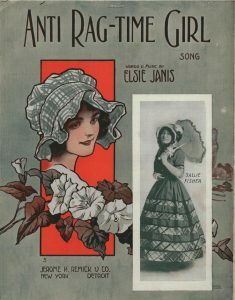 However, as with everything that seems to good to be true, Elsie utilized ragtime, an African-American genre, to write her 1913 song “Anti-Ragtime Girl”. By 1913, Ragtime was in its prime as a popular American genre, similar to how hip-hop is dominant in mainstream culture today. It is clear that she uses ragtime to create this piece. Are her actions considered cultural appropriation? Yes and no. Yes, because she did not invent ragtime music, and it is clear that she is living lavishly for herself based off the income of her music’s success. Some may argue that it is not moral for one to use another’s culture to re-interpret in another perspective. It is still very complicated. That leaves us with today. Eminem, Iggy Azalea, Bruno Mars, and Macklemore have all won Grammys for their success in performing music that is arguably black music. However, differences in opinion leaves us with an open-ended question: Where does the line between creating original art and committing cultural appropriation sit? Hip-Hop: It’s Not What You Do, It’s How You Do It. 1. If they have a good beat and I can dance to it… then I have no problem with it the song. 2. If it is Beyoncè, I am all set. In reality, these not the best reasons for listening to songs. But, people listen to songs for different reasons. It may be the lyrics, the artist, the genre or the emotional connections that one may have with a specific song/artist. In our society, social media plays a big part in the promotion of artists and their music. Genres such as Pop, Hip-Hop or Rap are widley listened too and are valued by the younger generations. Pop and Hip-Hop do not have the same implications now as they did before. Hip-Hop developed out of Bronx, New York around 1970s, as minorities suffered forms of inequality and injustice. The music that they created reflected that and served as a way of expressing reality. If you were to listen to songs such as “Rapper’s Delight” (1979) or “The Message” (1982), they provide truths while also portraying black culture through song. Fast forwarding to the 2000s, Hip-Hop continued to remain popular. But, the lyrics have become more sexualized and more and more artists have taken up this genre and have made it their own. Yes, Hip-Hop originated through the black culture but that did not mean that others could not perform this genre. Recently, I watched a video that was created by Amandla Stenberg called “Don’t Cash Drop My Cornrows.” After watching this video, I was speechless because she addressed the complications that come between black and white rappers. She gives a good definition of both cultural appropriation and cultural exchange in terms of black culture and the rise of white rappers using black culture as part of their music. She talks about a good variety of rappers and gives examples of how their music utilizes black culture. Take the time to watch this video. As music evolves overtime, it is important that artist continue to recognize the cultural significance in which a specific genre derived from. It is not a matter of authenticity for some but it is a matter of credibility. It is okay to acknowledge how different aspects of specific cultures have influenced thier music but an artist cannot ‘claim’ another culture as their own.